If you are the meeting host and need to start or join a scheduled meeting, there are several ways that you can join the meeting. As the host, you can start the meeting from the Zoom desktop client for Mac, PC or Linux, the Zoom app for Android or iOS, your web browser, or an H.323 or SIP device. You cannot start the meeting as the host by dialing in over the phone, unless it is a Personal Audio Conference. 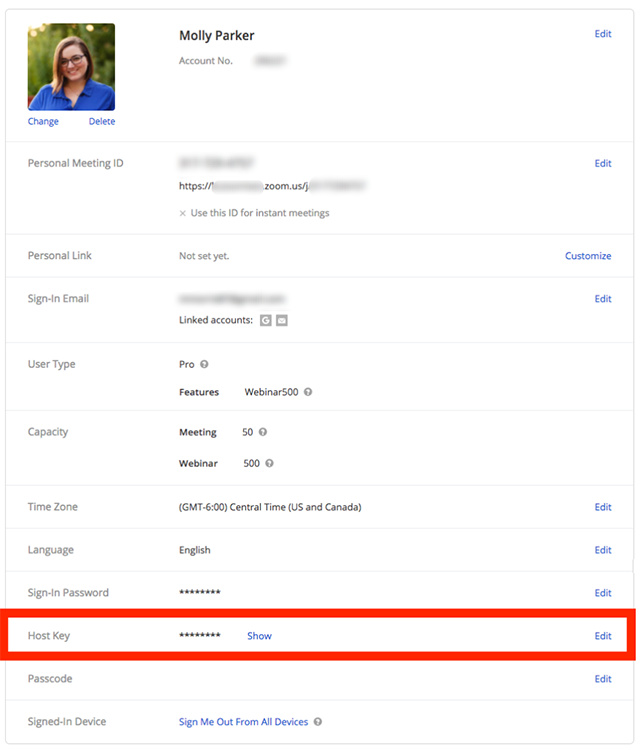 If you need to join the meeting via phone dial-in, you will either need to designate an alternative host to start the meeting or turn on Join Before Host. Note: If you are invited to another Zoom user's meeting, learn how to join the meeting. In the Zoom client, click Meetings. Under the Upcoming tab, select the meeting you want to start. Additional options will appear. Under Upcoming, hover over the meeting you want to start. Additional options will appear. In the Zoom mobile app, click Upcoming. Click Start next to the meeting you want to start. Under Upcoming Meetings, click Start next to the meeting you want to start. The Zoom client should launch automatically to start the meeting. Confirm that you are logged in at zoom.us/profile in the same browser. Start the meeting by clicking on the URL Link in your e-mail or calendar invitation. The Zoom client should launch automatically and start the meeting. To start a meeting as the host from an H.323 or SIP device, you will need to include the host key in the dial string. You can find your host key at zoom.us/profile. Learn more about host key. Note: there are additional options for dial strings, including the ability to join with a specific video layout. Learn more about H.323/SIP dial strings.